Can you eat to beat inflammation? Before seeking out prescription or over-the-counter medications, you may want to consider trying some of nature’s most flavourful, inflammation-fighting foods. Part of the body’s immune system, inflammation is a natural biological response to injury, cell damage, irritants and pathogens. Pain, redness, swelling, heat, and immobility are signs that your body is using inflammation to heal from a tissue injury or an infection. There are two kinds of inflammation: acute and chronic. Acute inflammation starts rapidly and can last anywhere from a few days to a few weeks. A sore throat from a cold or flu, a scratch on the skin, dermatitis, sinusitis, a bruise or blow, tonsilitis, and bronchitis are all examples of acute inflammation conditions. Chronic inflammation is long-term inflammation that can last for months or even years. Asthma, rheumatoid arthritis, chronic periodontitis, and Chrone’s disease are all examples of chronic inflammation conditions. New research suggests that obesity is an inflammatory disease. Scientists have found an abnormal amount of an inflammatory protein (PAR2) in the abdominal fat tissue of overweight and obese humans and rats. The study confirms an emerging realization that obesity is an inflammatory disease by linking obesity and high fat, high sugar diets with changes in immune cells and inflammatory status. With obesity being added to the list of chronic inflammatory diseases, that means more than two thirds of Americans are potentially suffering from chronic inflammation. Luckily, nature has provided us with an abundance of foods that naturally work to protect us against inflammation. Salmon and other fatty fish, such as sardines, mackerel, herring, and trout, are rich in Omega-3 essential fatty acids. According to the University of Maryland Medical Center, Omega-3 fatty acids reduce inflammation and may help lower the risk of chronic inflammatory diseases including heart disease and arthritis. Omega-3 fatty acids have been clinically studied for their effect on rheumatoid arthritis (RA), an autoimmune disease that causes inflammation in the joints. Studies have shown that Omega-3 from fish oil can help reduce joint pain and stiffness associated with RA. 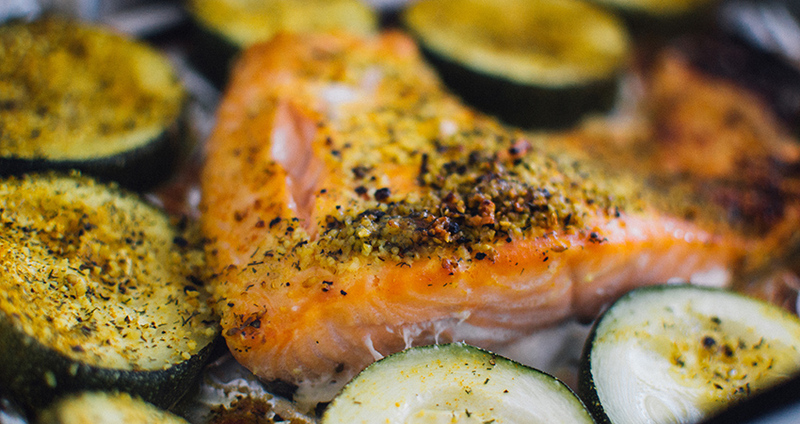 Other clinical research has shown that eicosapentaenoic acid (EPA) and docosahexaenoic acid (DHA), the specific Omega-3 essential fatty acids found in fatty fish like salmon, have benefits in several inflammatory diseases including Crohn’s disease, psoriasis, multiple sclerosis, and even migraine headaches. Fibre offers many benefits to your health, and fighting inflammation is one of them. Whole grains such as non-instant oatmeal, quinoa, spelt, and brown rice are great source of fibres, and have been shown to reduce levels of an inflammatory marker known as C-reactive protein. High levels of C-reactive protein (CRP) indicate general inflammation related to anything from an infection to heart disease. Dana E. King, a professor at the Medical University of South Carolina, led a study which found that a high-fibre diet led to reduced levels of CRP. In another study, men who increased their servings of high fiber fruits and vegetables from two to eight per day lowered their CRP levels by one-third. 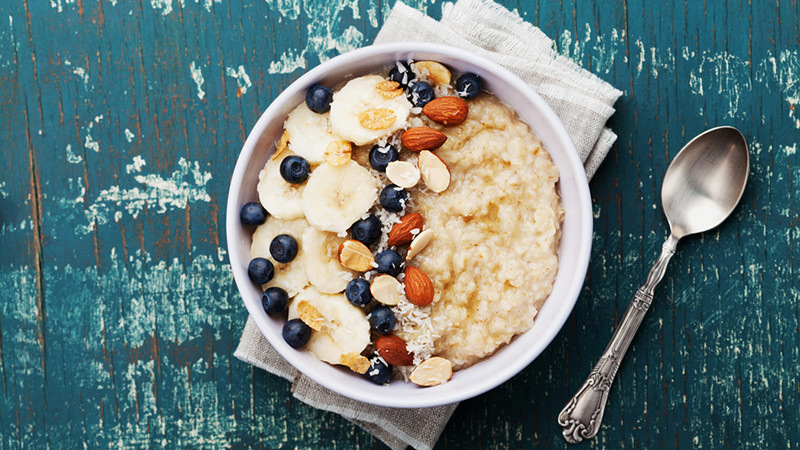 Whole-grain oats are an excellent way to get more real whole grains in your diet. Researchers at Tufts University have found that the unique antioxidant compounds in oats have specific anti-inflammatory effects. For the best benefit, avoid instant oats, which have been more heavily processed. 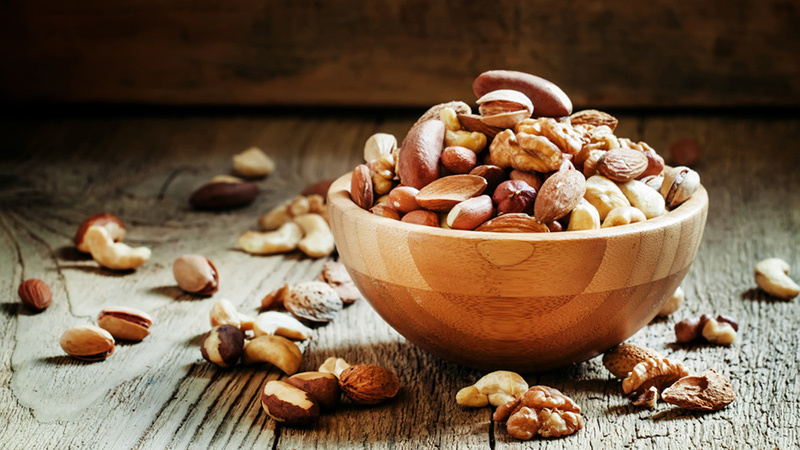 Clinical studies suggest that the Omega-3 fatty acids, antioxidants, vitamins, fibre, and specific nutrients such as L-arginine and magnesium found in nuts can play an important role in modulating (suppressing) inflammation. Frequent nut consumption has been linked to reduced risk of death from cardiovascular disease, as well as type 2 diabetes. The unique mix of nutrients in nuts has been shown to decrease inflammation markers. 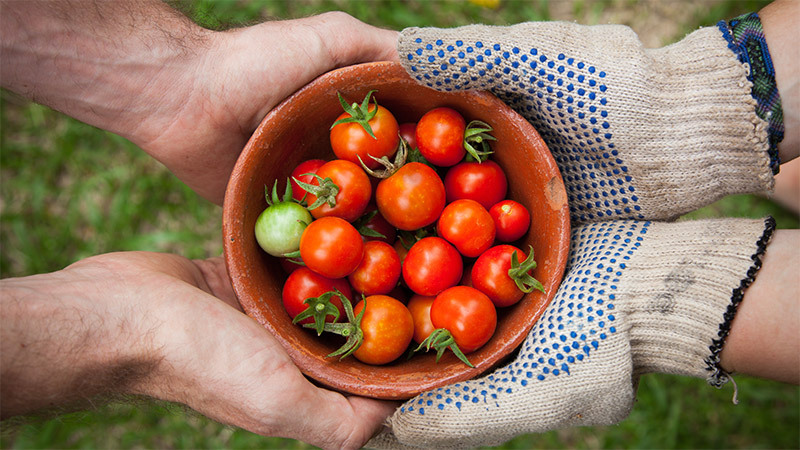 Tomatoes contain the antioxidant lycopene, which has been shown to effectively reduce inflammation. Lycopene has been linked to cardiovascular and cancer preventative benefits, and one of the possible explanations for its protective abilities is the way it down-regulates the inflammatory response. Other antioxidant compounds found in tomatoes such as ascorbic acid (vitamin C) play a role in suppressing inflammation by protecting against lipid peroxidation. Cooking tomatoes actually increases the lycopene content, so be sure to add plenty of cooked tomatoes or yummy, homemade tomato sauce to your meals for the most potent anti-inflammatory protection. Turmeric is a spice used in cooking (it’s what gives Indian curry its golden colour and warm flavour). Turmeric is also found in a less exotic food that’s probably in your refrigerator: mustard! Turmeric has been used traditionally in both Ayurvedic and Chinese medicine for thousands of years as an anti-inflammatory herb, as well as to treat digestive issues and other conditions. Modern science is proving this ancient medicine herb is still worth looking at. According to the University of Maryland Medical Center, turmeric may help fight infections and some cancers, reduce inflamation, and treat digestive problems. The major compound found in turmeric is curcumin, a powerful antioxidant. Curcumin lowers the levels of two inflammation-causing enzymes in the body. 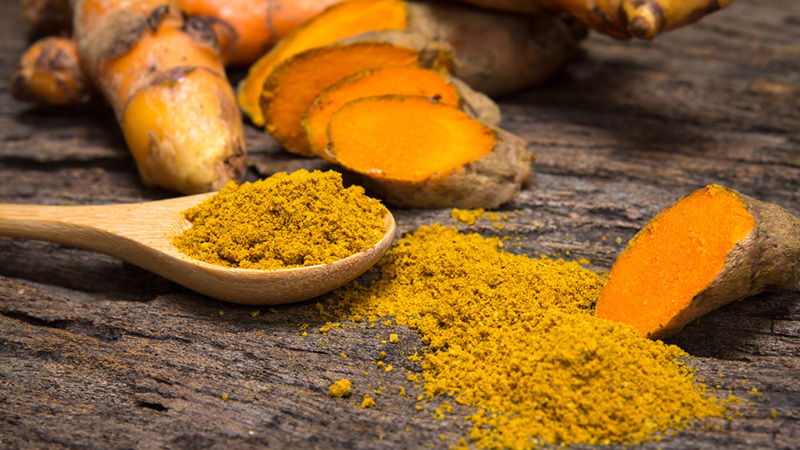 A large number of scientific studies on curcumin have found evidence that curcumin does posess anti-inflammatory activity, and that it inhibits a number of different molecules involved in inflammation. Curcumin has also been demonstrated to be safe in human trials. Ginger is another plant with a long history of medicinal use. 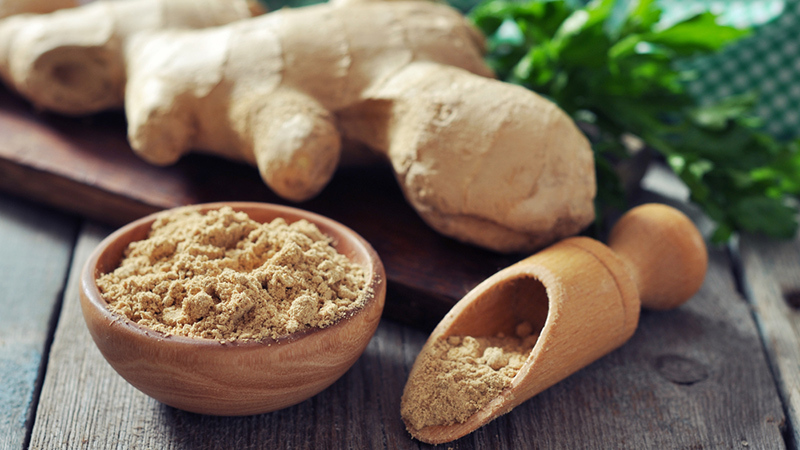 For centuries, ginger has been used to treat a number of conditions. Pregnant women today still rely on ginger for its proven nausea-fighting properties. Ginger contains compounds with anti-inflammatory properties called ginerols. The specific constituents of ginger suppress the biochemical pathways that are activated in chronic, long-term inflammation. Gingerols found in ginger are believed to be responsible for the reduction in pain levels and improvement in mobility for people with osteoarthritis or RA who consume ginger regularly. In two clinical studies, ginger provided relief of pain and/or swelling to 75 percent of arthritis patients and 100 percent of patients with muscular discomfort. Dark, leafy greens are an excellent source of vitamin E, an antioxidant that can protect the body from pro-inflammatory cytokins. Spinach in particular offers over a dozen different phytonutrient compounds that function as anti-inflammatory agents. Consumption of spinach has been shown to decrease excessive inflammation, particularly of the digestive track. 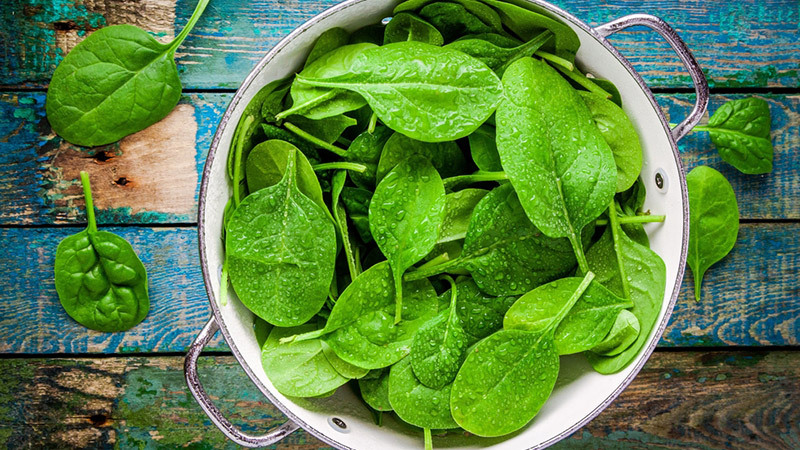 Of these phtyonutrients, two antioxidant carotenoids, neoxanthin and violaxanthin, are found in unusually large amounts in the leaves of spinach and play an important role in the regulation of inflammation. Peppers help fight inflammation with a number of naturally occuring compounds. Peppers are exceptionally high in antioxidant vitamin C, in addition to carotenoids and capsaicin. Carotenoids are colourful plant pigments that provide the yellow, red, and orange fruits and vegetables. These pigments act as powerful antioxidants in the body, and the carotenoids found in peppers like guajillo peppers exhibit notably high antioxidant activity as well as natural pain relieving and anti-inflammatory benefits. Capsaicin, a major compound found in hot peppers, also has strong pain relieving and anti-inflammatory properties. Capsaicin is found in many over the counter pain relieving topical creams. Garlic, as well as onions and other members of the Allium family, is yet another traditional, medicinal food that has been used for centuries for its health benefits. 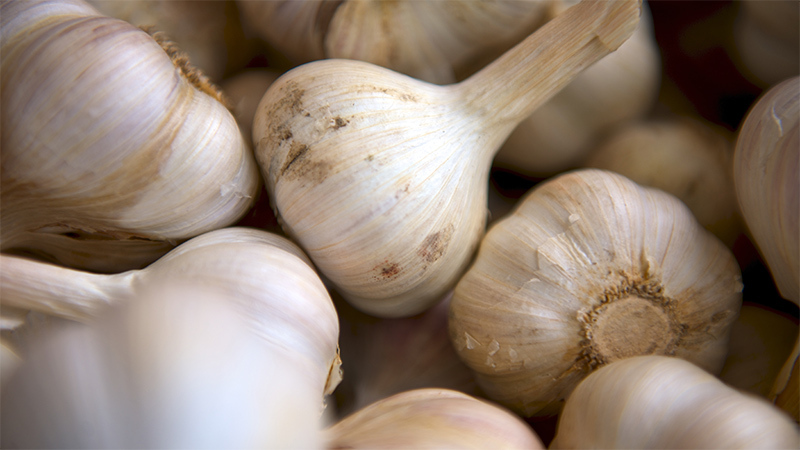 Garlic has been shown to work like NSAIDS (non-steroidal anti-inflammatory drugs) by shutting off pain receptors. Studies are currently looking at garlic’s anti-inflammatory and antioxidant responses as possible cancer-preventative and immune boosting agents. Raw garlic offers the most anti-inflammatory benefits, so blend some up with parsley and olive oil for a healthy herb drizzle that is delicious on baked chicken, fish, or as a salad dressing. 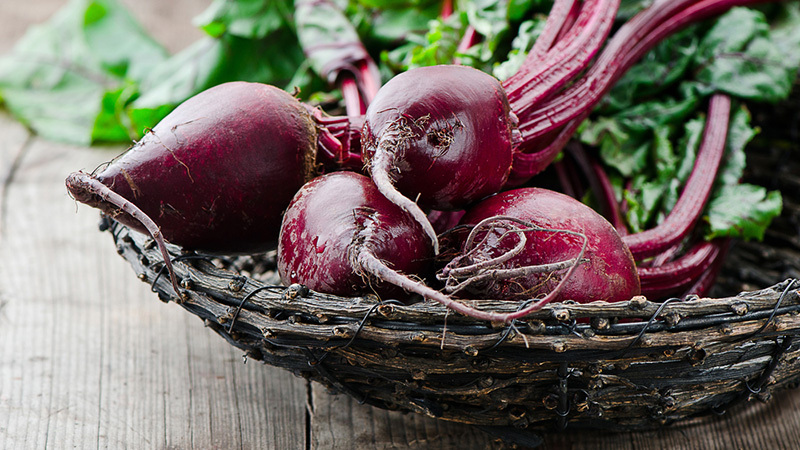 Beets contain a unique source of phytonutrients called betalains. Studies have shown that two of these betalains, betanin and vulgaxanthin, can provide antioxidant, anti-inflammatory, and detoxification support to the body. These compounds reduce inflammation by inhibiting the activity of molecules that trigger inflammation. When inflammation is chronic and long lasting, these inflammatory producing molecules can lead to conditons such as heart disease and type 2 diabetes. Beets can be included in a delicious fruit smoothie for added antioxidant protection. When eating to beat inflammation, avoid added sugars and saturated fat; these are two ingredients that can lead to more inflammation in your body. Since most manufactured and processed foods have added sugars and fats, it is best to stick to a clean eating diet full of fresh fruits, vegetables, whole grains, and these 10 superfoods.